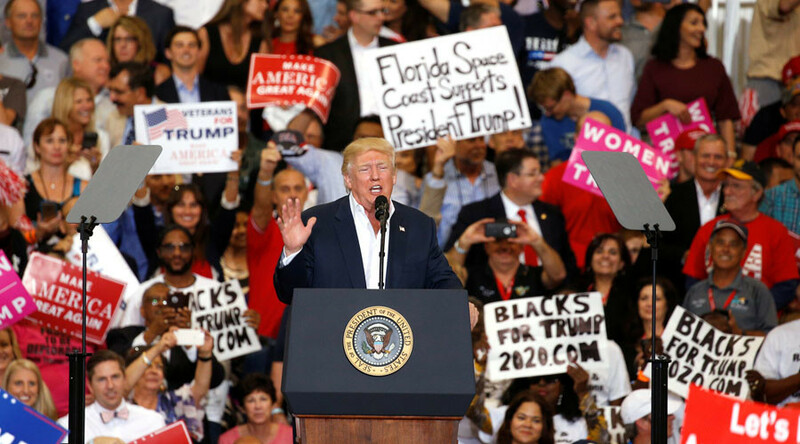 Donald Trump left the Swedish people and their government wondering exactly what had happened “last night in Sweden” after a Florida rally this weekend, in which the US president referred to an incident in the Scandinavian country no one had heard about. "We've got to keep our country safe," the US president reiterated. "You look at what's happening last night in Sweden ... who would believe this? Sweden, they took in large numbers, they're having problems like they never thought possible,” the president said to justify his proposed immigration travel ban. Swedes quickly began dispelling rumours that an attack had taken place in their country, confirming that, in fact, nothing had happened. The hashtag #LastNightInSweden soon started trending as one of the most popular online topics in Sweden, forming a wave of amusing speculation about just what exactly had inspired Trump’s comments. The Swedish government, however, did not see the funny side to Trump’s remarks and called on the US president to clarify his comments. “Our embassy in Washington has been in contact with the US foreign affairs office to get clarification. We’re of course wondering [what he referred to],” government spokeswoman, Catarina Axelsson told Swedish news agency TT. “Let’s see if we get an answer from the embassy,” she added. The issue also promoted former Swedish Prime Minister Carl Bildt to wonder just what the US president was talking about. While Chelsea Clinton also got in on the mockery of the man who pipped her mother Hillary to the White House. In a tweet Sunday, Trump said he was referring to "a story that was broadcast on @FoxNews concerning immigrants & Sweden," although no further details were provided. It's thought the piece Trump was alluding to was a segment on Tucker Carlson Tonight titled "What the US could learn from Sweden's refugee crisis." Sweden's US embassy acknowledged Trump's tweet with a cordial response. Since taking office in January, there have been a number of instances where Trump's senior officials have referenced attacks that did not happen. White House Press Secretary Sean Spicer referred to a non-existent attack in Atlanta, while advisor Kellyanne Conway was ridiculed for her alternative facts gaffe regarding a fictional massacre in Bowling Green, Wisconsin.